This is our base product for homeschoolers or those contemplating it! If nothing else, this is what you need! 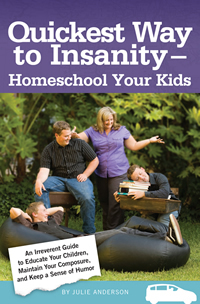 This is a homeschooling guide with the brain in mind. This book is an easy read and will cover identifying and teaching to learning preference, introversion/ extroversion level, gender, brain lead and environmental cause and effects! A 2 hour-long coaching session with Julie. Which Road Will You Choose on Your Homeschooling Journey? In this CD we will be discussing charter schools, complete independence, private school, independent study with a public school, and the pro’s and con’s of each. In this CD we will be discussing tips for overcoming: an unmotivated child, feelings of isolation, critics of homeschooling, and burn-out. In this CD we will discuss: Why Moms fall through the cracks, how this effects your health, and taking care of YOU! These DVDs contain a power point presentation and are accompanied by a CD of the same information in audio only format. If My Child Is So Brilliant, Why Can’t He Spell? Learn how to gain an understanding of energy expenditure in the brain and how it affects personality, how to appreciate and validate your child’s innate gifts and be understanding of their non-strengths, and how to reduce the frustration in your homeschool environment. See how science helps to understand how the brain learns, learn how to create a brain-friendly environment, and gain teaching techniques to improve memory retention in your child. Introversion & Extroversion: How Do I Teach With This In Mind? In this presentation you will learn the importance of understanding the amount of stimulus your child’s brain needs to be happy, how to teach to the introverted child, how to teach to the extroverted child, and learn about your child’s brain and the immune system. 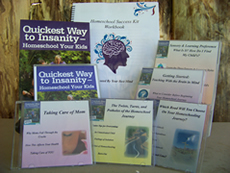 In this presentation you will understand how the brain learns, the difference in teaching to a boy or girl brain, and how to improve your homeschool environment. Whether you are beginning your homeschooling journey or have been homeschooling for some time you might experience some roadblocks or setbacks. We can assist you in overcoming those road blocks through a custom coaching package. Again, this is the same as above, but at your own pace! This home study course includes a workbook, 8 disc audio power point presentation and two, one hour consultations with Julie Anderson.